I had read a blurb about Wattpad in some sort of What’s New? section of, I think, Poets and Writers, maybe last year. I dog-eared the page, and then forgot about it. But a couple months ago I went to my writing group and one of the guys at the table presented the idea for at least one of us to tackle Wattpad and see if it got us any added attention. Two of them (they are housemates) had spent some time surfing Wattpad and gave an explanation of their findings and observations. Now, I was on my summer sabbatical, taking care of kids, cleaning the house, and camping, so I sort of blew it off. For like a second. Because I am one of those people that hears “someone should do this” as “Devon, do this.” So, while passengering up to New York at the end of July, I set a pen and my ideas notebook in my lap and closed my eyes and wondered, what would fit this format? Pause for the format. Wattpad describes themselves as “a place to discover and share stories: a social platform that connects people through words. It is a community that spans borders, interests, languages. 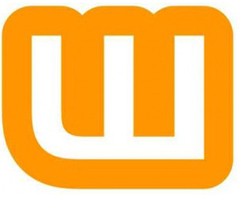 With Wattpad, anyone can read or write on any device: phone, tablet, or computer.” Wow, that’s vague. Basically, it is place to read free books or short stories in a serialized format which notifies you as a story unfolds. The concept is very modern and cool. (I think the issue is finding a great book just as it is unfolding. Perhaps in the future they will have a way to re-serialize old content, but that won’t be quite as exciting.) In other words, you log in, you stick the app on your device (or not), you search amongst millions of books and stories, and you follow ones that interest you. As the author posts additions (usually in short sections, sometimes chapters), you are notified via your device or your account. Then you can click and read in short spurts. See? Very modern and cool. So there I am, zipping up the east coast with my eyes closed, searching the music in my earbuds and the recesses of my brain for an idea. Which came, but from The Hero with a Thousand Faces (more on that, to come). The best thing about Hero is reading all the old, world folktales (again, more on that to come), and King Midas ended up inspiring me in just the right way. Finding inspiration for Wattpad can’t just be what you have on hold for a novel, anyhow. It appears in real-time, as you write each new section, which means several things: 1) Each small section has to be gripping and suspenseful. 2) You have to know approximately where you are headed from the beginning, and introduce things right out of the gate that won’t be used until later. 3) Audiences won’t expect (or notice) quite as much cohesion as in a real novel, and yet, you don’t want to pull a Roseanne‘s Becky on them. And 4) Think TV versus movie. It’s different in texture and content, in layout and subject matter, partly because it needs to be. Jack and his fiancee Goldie are the only things actually big about the town of Gargantuan, Indiana. That is, until their wedding day, when Jack cashes in on a wish by turning everything he touches to gold, destroying the town, his marriage, and anything once recognizable about his life. Eighteen years later, a bitter young woman running away from her problems stalls out on the hidden borders of the dusty, legendary town. She wanders in looking for a hiding place but ends up finding so much more. 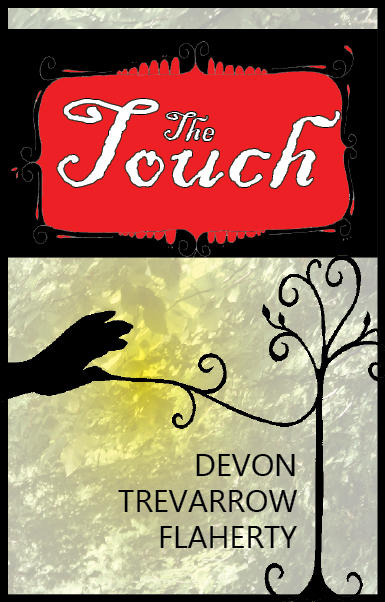 Serialized novel released at a section each Monday. So, check out Wattpad. Follow someone (or me!) and read their stuff. Throw something of yours up there if you have stuff to throw up there. And here’s to hoping The Touch will be as good on Wattpad as it is in my head. Here’s to hoping the serialized format of real-time writing will work for me, as a writer. And here’s to the future. Knock, knock. It’s here. Can’t wait to start reading! And your post is excellent reading on its own!